CARLSBAD is a database and knowledge inference system that integrates multiple bioactivity datasets in order to provide researchers with novel capabilities for the mining and exploration of available structure activity relationships throughout chemical biology space. The powerful cheminformatics and pattern recognition algorithms combined with network analysis methodology allow researchers using CARLSBAD to generate hypotheses involving the relationships between biological targets, chemical compounds and their common chemical patterns. Download the CARLSBAD manual. 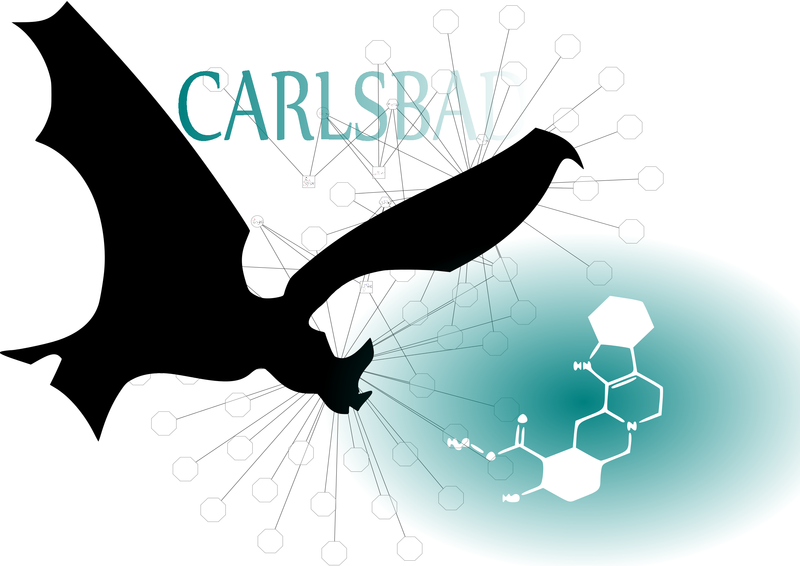 To learn more about both CARLSBAD and the entire CARLSBAD platform including CarlsbadOne, please click the bat image. Currently, CARLSBAD contains 755,329 compounds, 3613 protein targets, and 1,449,924 activities. The CARLSBAD platform is offered free for academic and non-commercial use. CARLSBAD was developed by the University of New Mexico Translational Informatics Division, Department of Internal Medicine, and funded by NIH grant GM095952 (PI Tudor Oprea).